Here are a few quotes on retirement that can add a touch of humor or inspiration to your speech. 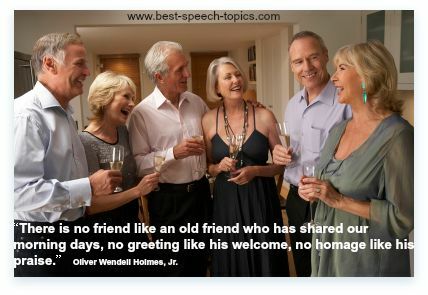 Quotes for retirement speeches can be taken from any source that you like and woven into your speech to help make it more memorable for you and your audience. I hope one of these quotes on retirement will be of use to you and maybe even give you a new view on what retirement can be. 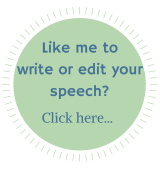 If you have a favorite quote that you would like to share, just scroll down to the bottom of the page and send it in! I'll publish it here with your name as the submitter! "In the wealthy nations of the world we face nothing less than a thorough redefinition of retirement. To be sure, people will continue to retire from their jobs. But retirement will no longer be the twilight of life, focused on rest, recreation, and recuperation; it will now be a time in which people will marshall their experience and intelligence to create entirely new lives for themselves." "Retirement can and will be a glorious time in your life. You'll love the freedom and ability to try new things. It's a new phase of life; a chance to be a beginner again." "When men reach their sixties and retire, they go to pieces. Women go right on cooking. " "People who refuse to rest honorably on their laurels when they reach 'retirement' age seem very admirable to me." "Retirement is not a static event, fixed in time with a gold watch to mark it. Rather retirement -- if that is even the right word -- is a multidirectional process that can take many years." "I want to take retirement rather than feel as if it's taking me unawares. Maybe even seize it joyously. But at least behold it without looking back so longingly that I turn into a pillar of regret." "Retirement is the is the last opportunity for individuals to reinvent themselves, let go of the past, and find peace and happiness within." "On this, my last word here on ABC, I quote Shakespeare, who said, 'All's well that ends well.' My time here now ends extremely well. Thank you."" "They should remember me as being the greatest boxer of my era and I did it with dignity, pride, honor. And also retired at the right time." "As in all successful ventures, the foundation of a good retirement is planning." I hope these quotes on retirement have inspired you! I for one am looking forward to retirement! For me, it's a time to begin again without all the restraints of the 'shoulds' and 'have to's' that seem to define most of your life! You know, like "I have to work to support the family", "I should keep this job to pay the bills" even if it does not inspire me. Retirement is a time to do what you want, when you want and how you want. Yay to retirement!! Help others' get a chuckle or celebrate retirement by submitting your favorite retirement quote below!